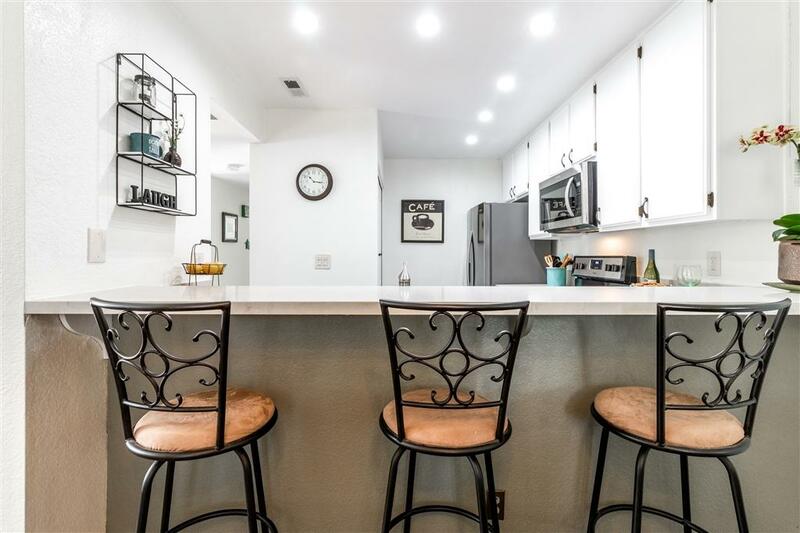 YouÃ¢â‚¬â„¢ll love this beautifully renovated first floor Las Palmas end unit with private front entrance, south-facing patio and attached 2 car garage. 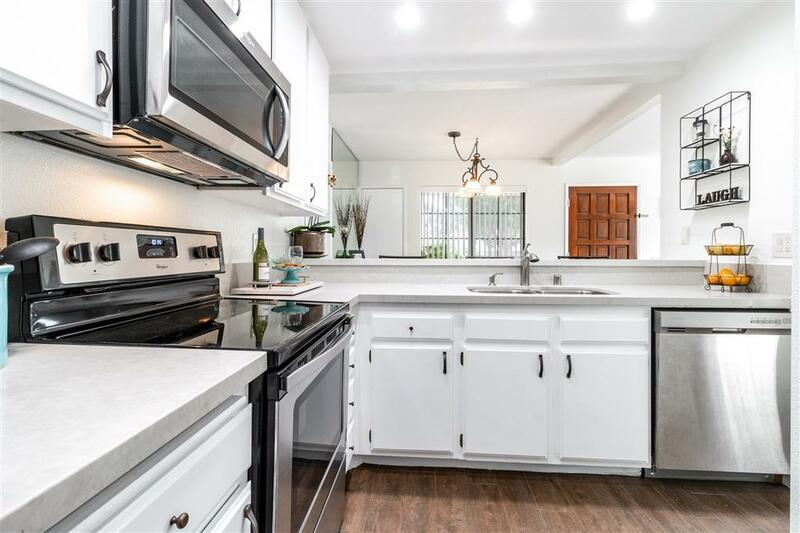 This bright and spacious residence offers abundant natural light, a recently renovated kitchen with quartz countertops, stainless steel appliances and generous cabinet and counter space. An inviting living room with a wood burning fireplace, dining area and lovely kitchen, all blend into a great open concept, ideal for entertaining. (See supplement) One full bath and master bedroom with vanity and walk-in closet. 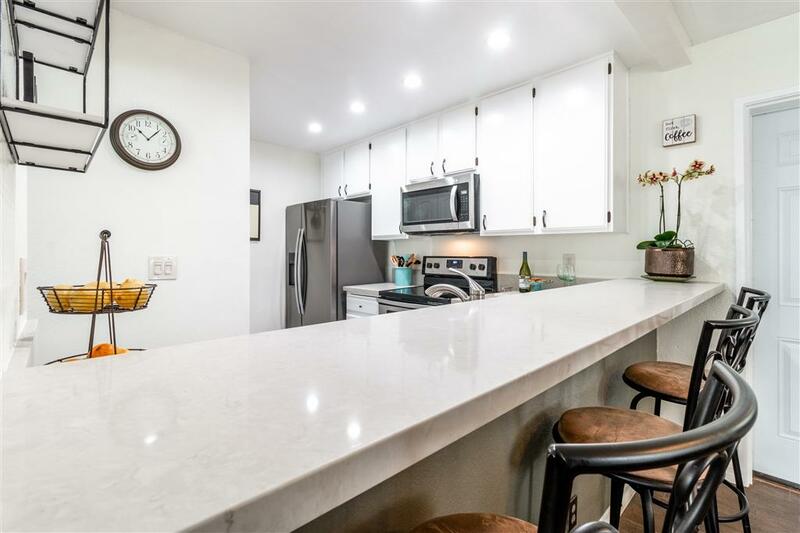 Other recent upgrades include wood-like porcelain tile, upgraded carpet in both bedrooms and renovated bathrooms with beautiful vanities and quartz countertops. 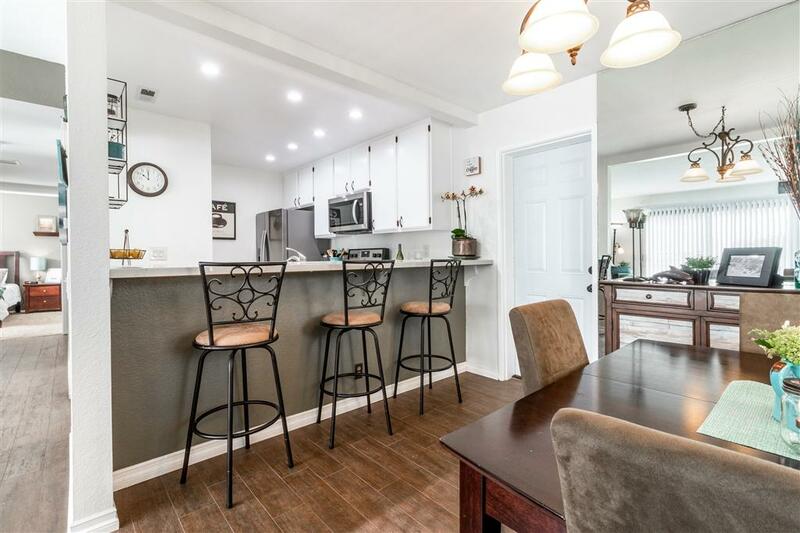 Hard to find attached two car garage with storage, full size side-by-side in-unit washer and dryer, custom kitchen pantry and plenty of guest parking throughout the community. Conveniently located in the heart of La Jolla Colony, in a quiet complex with lush landscaping and two community pools and hot tubs, this beautiful condo is just minutes away from La Jolla beaches, shops at La Jolla Village, UCSD and large community park with running path and workout stations. This is a unique opportunity to be part of this vibrant neighborhood and experience the lifestyle of San Diego's second downtown. $84 fee to La Jolla Colony is paid quarterly (listing showing per month amount). Contact listing agent, Anca Savelio with Allison James Estates and Homes at 858-205-0121 for additional details or to arrange showing appointment.